I'm stunned. The Mariners won't even bid for Daisuke according to Bill Bavasi. He has been priced out of the budget for mid-level teams as was expected. I'm sorry it's come to this as a baseball fan. A Japanese player of the caliber of Matsuzaka should at least be on Seattle's radar. When this happens, it's clear that the king of baseball is Scott Boras. There is no man more powerful. If the M's are out, you know that almost every team with a league average payroll is out too. The bidding for Daisuke's services will boil down to the rich teams, of which the Yankees are royalty. It makes me happy as a Yankee fan to know we have less competition, but the rest of the teams in this thing aren't going quietly. It will be interesting to see if any other GMs out there make similar announcements to cut off disappointed fan reactions before they happen. I'm curious to hear how the Mariner fans that come here are reacting to this news. Speak up fellas. Let 'em know how you feel. UPDATE: I've been browsing the news and see that both the Angels and the Orioles are hinting that they're also not going to break the bank on Matsuzaka.....more when I dig it up. there is a reason why the yankees have 26 WS titles, while we have none. This is a clear cut example of why we will continue to not make the playoffs and will eventually lose Ichiro while retaining dullards such as mike hargrove. Well, remember White Sox's GM Kenny Williams said how they weren't going to purse Tadahito Iguchi anymore but signed him a week later. Let's just say it ain't over till it's over. As long as Matsuzaka is available, there is a chance Mariners will change their mind and bid for his service. They might announce this just to play mind games with other teams regarding how much to bid for Matsuzaka. ak, supposedly the mariners are backing out in order to be able to afford to keep ichiro... so hopefully they are able to pull that off. and the bait and switch was my first thought as well, frank. hope the tests went well, mike. IF I'm Ichiro, I'd tell them I won't sign unless they make a serious effort to get DM. I don't believe it's a ruse. It serves no purpose to manufacture mystery in this situation. I think Bavasi is legitimately out of it. I think he's smart too. The pricetag for Matsuzaka is so out of control, that I even question the Yankees spending 20+ million a year for his services. I think he could be as good as any pitcher in the game, and I think the money is nuts. I'm betting that the Ms are truly out of the picture. What will Zito ultimately cost a year Mike? From what you think? Zito is going to make 5/$75 by all accounts. That costs against the tax penalty. With Matsuzaka's posting and comparable salary he'll cost 4 or 5/$100 which is nutty, but about $30 of that doesn't count against the tax penalty. Mike, you hit the nail on the head with the luxury-tax issue. Mats makes the most sense for the Yankees because that bidding money does not count against the luxury tax. Since the Yankees have to pay a dollar for every dollar they spend, any money that isn't taxed is a big deal for them. They need pitching, and the best available guy after Mats (outside of a trade) is Zito (and he's not what they need and not that good). Spending 75 million for Zito is almost like spending 150 million for the Yankees. Matsuzaka just makes perfect sense for the Yankees. Why would Balvasi posture? It doesnt serve him any purpose. Its a closed bid, so everyone is aiming for the Yankee bid knowing they will probably bid the highest. And I dont think the Yankees will bid a lower amount now that hearing the Ms are out of the race. There's no way the M's persuade Ichiro to stick around anymore. 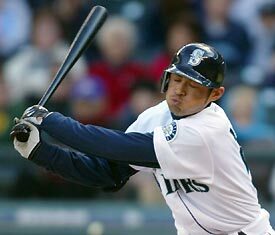 Ichiro is heading back to Japan after 2007 unless the M's win 88-90, and Matsuzaka was the best chance we had since so much of his cost was off the books. Also, I don't buy the 'can't afford Ichiro' bit, because the M's are seriously under budget right now. This is a $95M/year franchise when the ownership isn't raking in profits fist over fist. ...I am at a loss for words. I am shocked and saddened, because adding Matsuzaka and keeping Ichiro would be A) money well spent because B) it would keep a LOT of Japanese interest in the M's. what we NEED is a good top-line starter - our big free-agent pitching move can't be Jared Washburn again this season - and he would become that along with Felix in two years. we're SO CLOSE to being competitive, we just need solid starting pitching, more development of the bullpen and more solid hitting. You do this by getting Daisuke and keeping Ichiro. I don't believe that Ichiro will ever play in Japan again. If he does, he can kiss the HOF goodbye in the US. He needs to finish things out here on a very strong stretch of performances....probably culminating in 2000 hits to qualify. The money in Japan won't be as good, the level of competition won't be as good, and there's little for him to gain from returning. I believe that he'll find himself on a big market club somewhere if in fact he leaves the Mariners. I'm not sold that he leaves the Mariners, first of all, but if he does it will be to LA or NY probably. Sad day to be an M's fan, but that will pass if they can get a couple of good pieces to make the team better. Hang in there. It is saddening that a man that owns freakin' Nintendo can't shell out some money. I mean come on. I'm sick and tired of people like the Twins owner who just pocket all of the money and I still have to hear that George and the Yankees are ridiculous for spending so much money. GEORGE actually cares about his team and his fans, period. Most of the other owners only care about the millions and millions of dollars they will be leaving their snobby great great grandchildren. Its sickening. As a rabid M's fan....I don't have a problem with not going after Matsuzaka. It's a smart play whenever you can limit the number of Scott Boras clients on your roster (who by the way is one of the biggest anti-christs of baseball....the others being Stienbrenner, Tom Hicks, and Donald Fehr). I think that says something about DM's character by choosing him as an agent. I find it relatively hard to root for anyone that chooses him as a representative. I'm glad that the M's have bucked the trend and said....NO. The price for DM is just outrageous....and any team that bids that high is irresponsible. In the long run, it will affect the overall health of the game of baseball. Kudos to the M's for keeping that frame of thought....and as an M's fan, I'm glad my team won't contribute as a team that destroys the market. There aren't enough Daisuke quality Japanese players being posted for this to have a serious market effect. I mean, look at when Ichiro went through the same process. 13M for a relative unknown was alot at the time, and there was no serious market aftereffects. In regards to the Mariner situation, I myself am biased as a Yankee fan, but I think they made a smart move. They need more than one starter, so blowing all their cash on Matsuzaka would regulate them to 2 other very poos starters. "and any team that bids that high is irresponsible. In the long run, it will affect the overall health of the game of baseball...and as an M's fan, I'm glad my team won't contribute as a team that destroys the market." Wait, werent the Ms who were the team that gave Sexon and Beltre(an Boras client) those ridiculous contract? Do we really have to go over fiscal responsibility? To any Mariner fans who think Ichiro will go back to Japan after '07 is ridiculous. He wants his 3k hits, and a chance to get into ML HOF. He doesnt have that much of loyalty to the Ms. NY has as much Japanese residence and more of a chance to win. We're just repeating what Ichiro himself has said multiple times. He has an interest in playing for Seattle, but to him Japan is still home. He has the freedom to change his mind, but I strongly caution you to prepare yourself for disappointment if you think New York has some mystical allure that no one can resist. Thanks for the well wishing, Mike. For your sake I could almost hope the Yankees get Matsuzaka, if the M's can't have him... I've appreciated your analysis and enthusiasm. I'm extremely disappointed. Daisuke Matsuzaka is the best pitcher available and to not even attempt to get him is ridiculous. Wow. Thanks for all the comments guys. I think Ichiro will stay in the US, unless he just misses home. The money and the prestige are important, but I understand missing home. I hope some team like the Orioles puts in a 50 million dollar bid and then low balls him on the contract. Effectively blocks him from the Yankees. And unless he takes a bad contract offer, he'll be back in Japan for another year to become a free agent after next year, when teams won't have to post so that everyone would have a shot at signing him. I believe that the Orioles would then have to offer a contract worth at least $50 million. And if Boras believes that the Orioles weren't taking the negotiations seriously, they could file a complaint with Selig about the situation and possibly have the negotiation rights handed over to the next team. where does it say that whatever you post has to be the minimum of what you offer in negotiations with the player? "Wait, werent the M's who were the team that gave Sexon and Beltre(an Boras client) those ridiculous contract? Do we really have to go over fiscal responsibility?" At the time the M's signed both those guys, the $$ they received was the offer almost all interested teams offered them.....it came down to preference of team. Fiscal responsiblity is largely consistent with following market value for a player.....breaking down barriers to re-define what the market is (now that's irresponsible....and it's what the Yanks or Mets are about to do...just as Texas did with Arod). I question that anon poster's definition of what fiscal responsibility is baseball is....obviously he knows nothing about business. you'll notice that the contract values were all equal or greater than the transfer fee amount. Also, to add to my old point, article 13 of the posting agreement explains how the commissioner has the right to oversee the bidding procedures to ensure that they have not been undermined in any manner and that he has the ability to revoke the negotiation rights and award them to the next highest bidder if it was not in the best interest of professional baseball. I see no reason why the Orioles shouldn't try to block. He goes back to Japan. Any team could sign him the next year. They should do this because the system allows it and the system is stupid. He, like all other players entering MLB, should be forced into the draft just like the NBA does. Come on Angelos, man up on this one. That tobacco money is burning a whole in your enormous pockets!